Why We Sleep: Structure, Function, and Sleep Deprivation: T.I. Lee-Chiong, Jr.; Sleep and Wake Neuroscience: P.C. Zee; Technical Aspects of Sleep Testing: S.P. Patil; Sleep and the Cardiovascular System: H. Klar Yaggi; Narcolepsy and Idiopathic Hypersomnia: A.Y. 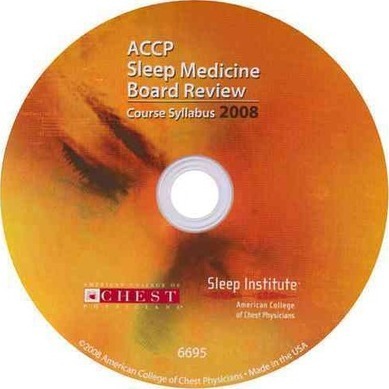 Avidan; Circadian Rhythm Sleep Disorders: P.C. Zee; Sleep and Epilepsy: A.Y. Avidan; Sleep in Psychiatric Disorders: R.M. Benca; Sleep Disorders in Patients With Pulmonary Disease: J.M. Parish; Sleep and Neurodegenerative Disorders: A.Y. Avidan; Medication Effects on Sleep: D.N. Neubauer; Obstructive Sleep Apnea-Hypopnea Syndrome: Definitions, Epidemiology, and Pathogenesis: H. Klar Yaggi; Shift Work: T.I. Lee-Chiong, Jr.; Sleep, Sleep Disorders, and the Endocrine System: R.D. Vorona; Excessive Daytime Sleepiness: Medicolegal Aspects: S. Patil; Obstructive Sleep Apnea and Central Sleep Apnea: Epidemiology, Pathophysiology, and Risk Factors: A. Malhotra; Insomnia: Prevalence, Impact, Pathogenesis, Differential Diagnosis, and Evaluation: P.M. Becker; Central Sleep Apnea: Diagnosis and Treatment: A. Malhotra; Insomnia: Pharmacologic Treatment: D.N. Neubauer; Cognitive-Behavioral Therapy for Chronic Insomnia: E.J. Stepanski; Pediatric Sleep-Disordered Breathing: D.M. Hiestand; Sleep in the Child: Normal, Walking, Talking, Wetting, and Wailing: D.M. Hiestand; Oral Appliance Therapy and Surgical Treatment of Obstructive Sleep Apnea: K.E. Moore; Sleep-Disordered Breathing, Snoring, Upper Airway Resistance Syndrome, and Complex Sleep Apnea: Medical, Nonpulmonary Artery Pressure Therapy for Obstructive Sleep Apnea: P.C. Gay; L.K. Brown; Sleep, Genetics, and Immunology: J.M. Parish; Restless Legs Syndrome and Periodic Limb Movements: M.J. Thorpy; Technological Advancements in the Delivery of Positive Airway Pressure Therapy for Obstructive Sleep Apnea-Hypopnea Syndrome: Auto-Continuous Positive Airway Pressure and Beyond: N.S. Freedman; Sleep, Sleep Disorders, and Cognition: T.E. Weaver; Normal Sleep and Sleep Disorders in Older People: B.A. Phillips.